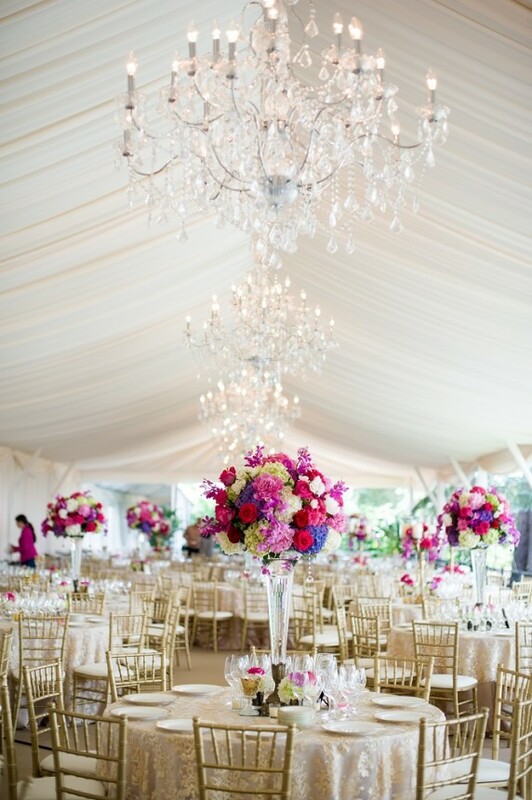 How beautiful are the floral designs for this Pennsylvania wedding? We are loving the pops of red, pinks, and purples for the floral centerpieces, all exquisitely arranged by Hepatica. We also can’t forget to mention this simple, yet beautiful four-tier wedding cake with lace and floral details. Come take a closer look at this romantic Pennsylvania wedding shared by The Event Group and Michael Will Photography!